GEORGIA Rodgers (19) is living her greatest passion. 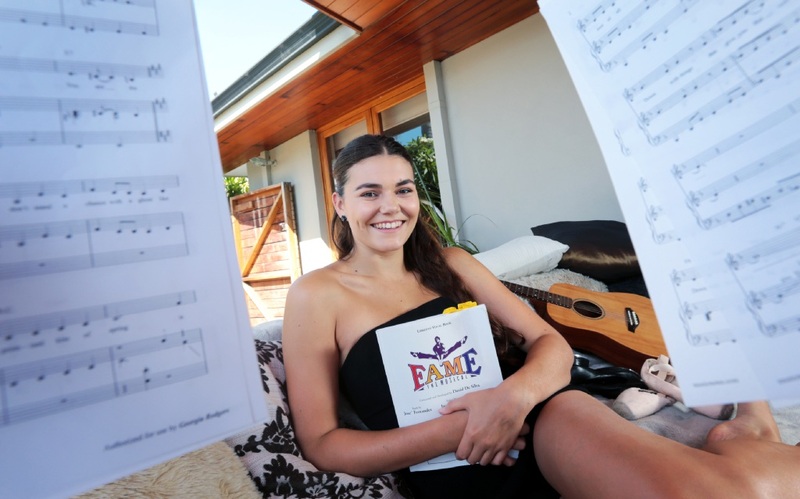 The award-winning Dianella resident has scored the lead role of Carmen Diaz in the Australian Performing Arts Network’s production of Fame The Musical, which will be at the Octagon Theatre in February. Based on the hit film and Broadway production of the same name, the plot follows a group of students across the acting, dancing and music faculties from 1980-1984 as they learn to master their craft and grow up alongside each other, rising to the various challenges that face them. Last year Rodgers played Gabriella in a production of High School Musical at the Regal Theatre, but she said Carmen was far more challenging. Rehearsals have only just begun for Fame The Musical, but Rodgers is already looking into the future. “I hope to move to Sydney in the next few months for my career,” she said. Rodgers could be well on her way to achieving her goals, having honed her talent by completing a Diploma in Music |Theatre at APAN in Malaga. Her talents were recognised when she won the Lucy Durack award of excellence in music theatre and the Rhonda Burchmore award for excellence in cabaret performance through youth performing arts initiative Storm the Stage last year.